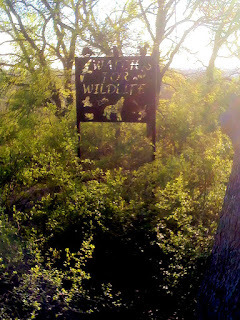 Tonight on our walk through the nature preserve we passed this sign: "Watch for Wildlife." And under the sign, wiggling his little whiskery nose sat a bunny. We wondered if the armadillo was going to come relieve him from his shift at the top of the hour.